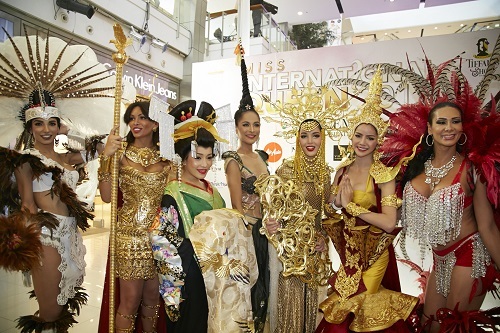 Central World, Bangkok - 30 October 2015 – The world renowned and spectacular transgender beauty pageant, Miss International Queen 2015, has officially kicked off on Friday, 30th October at Central World, Bangkok, Thailand. A total of 27 contestants from 17 countries will compete with their beauty and talent under this year’s theme, INSIDE OUT. Also, for the first time ever all 27 ladies meet with the press and immediately compete for the first round contest of Miss Best Talent. It’s been 11 years since the stage managed by the Tiffany’s Show, Pattaya has given the world Miss International Queen. 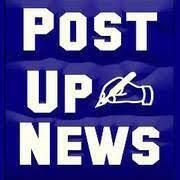 This pageant is the pinnacle for many, representing the pride and joy of all of those taking part in this pageantry. This year, in 2015, contestants come from different races, languages and cultural backgrounds such as Mexico, Belgium, Brazil, Italy, Turkey, Australia, Japan, Vietnam and Thailand’s very own neighbor Myanmar. There are 10 awards worth over THB 3 million. Among the many competitions to be won, some include Best Evening Gown, Miss Photogenic, Ripley’s Popular Vote, Miss Friendly AirAsia and Best Introduction Video. There are also special awards from the public which include Best INSIDE OUT Final Question, which shall be put to the three ladies who make it to the final crowning round of Miss International Queen 2015 on 6th November at Tiffany's Theater Pattaya. Business Analyst/Speaks Spanish, French, English, and Tagalog.